ASPA joined more than 150 thought leaders, researchers, scholars, administrators and others at the University of Delaware campus on September 28 to answer former Vice President Joseph R. Biden's call to generate ideas that will revitalize the middle class. 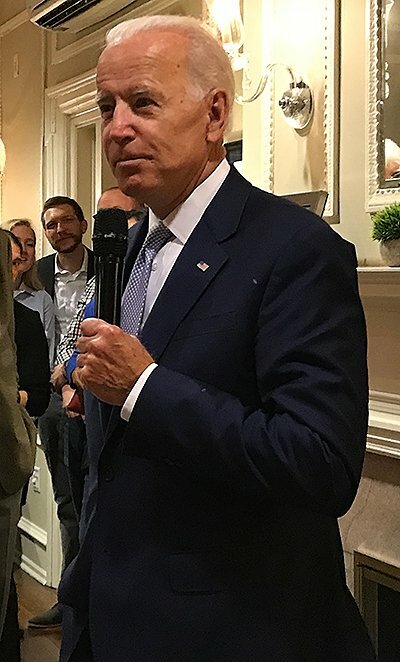 Born out of a challenge issued in 2017 to public administration scholars and students, the Biden Institute at the University of Delaware, in partnership with University of Delaware Charles P. Messick Chair of Public Administration Maria Aristigueta, renewed its efforts to work with college campuses across the country to solve one of the most pressing issues of our time. "No one challenge creates a greater impact than revitalizing the middle class," Mr. Biden stated during his opening keynote address. "The consequences of getting this right or wrong will matter to the families impacted here and around the world." Panelists throughout the day discussed a range of issues that affect, and are affected by, a shrinking middle class including budget priorities, economic growth, workforce dynamics and the role of innovation. "Middle class isn't just a number; it's an idea," Mr. Biden emphasized, as he enumerated myriad challenges related to public safety, home ownership, schooling, health care, caring for seniors and more. "Forty percent of working age people are struggling to make ends meet. Twenty percent of people have passed on health care because they can't afford it. The brain power to solve this problem exists right now. It's on you to figure it out." Throughout the day, participants listened to panels, held roundtable discussions, brainstormed ideas and talked through critical questions related to the day's theme including, "How do you define the middle class?" "What can we teach today's students that will encourage job growth?" and "What one idea was discussed today that you feel has the greatest potential to solve this problem?" Participants ended the day with an overview of the ideas generated throughout the room, as well as next steps for continuing the conversation. "This is not the end; it is just the beginning," Aristigueta noted as she closed out the final panel. "We will hold panels on this Challenge at events throughout the fall and really focus on this subject at the ASPA Annual Conference next March. ASPA President Jane Pisano is making this discussion a priority for her event and we will be holding Presidential Panels and other discussions to generate even more ideas there." Those interested in more information about the Biden Institute can visit its website or find the Institute on Twitter and Facebook. Continuing ASPA's "In the News" highlights, recent weeks have provided fresh headlines showcasing infrastructure, public finance, public service and social equity topics at the federal, state and local level. Some of the more noteworthy headlines appear below. If you have noticed other news pieces of interest, send them our way and we will include them in an upcoming edition of Bridge! If you ever wonder why you receive multiple messages from ASPA each summer, asking you to update your information for us, here's one very good reason: We now have a very clear understanding of who our members are. Why does that matter? It directly impacts the services and benefits you receive as members. For instance, did you know that most of our members are between the ages of 30 and 65, half of whom are under the age of 40? Put in the context of an aging civil service, ASPA members definitely represent the up-and-coming public servants of the future. Did you know today's ASPA members are only slightly more likely to be male than female? Women make up 47 percent of our membership. That number is obviously smaller than the total amount of women throughout the discipline, so it appears ASPA needs some help from our female cohort to recruit their peers and colleagues into ASPA. 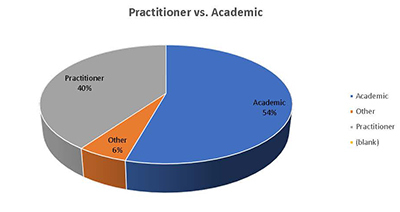 If you are curious about the breakdown between academics and practitioners, it's 54:40 with six percent not filing into either camp. These data are a snapshot in time, but the more you tell us about yourself when we ask, the better picture we can paint for you later. To all of the members who filled out your profile form this past summer, Thank You! If you did not do so and would like to contribute your data to this project, just visit your account page and edit the data found there. ASPA recently announced the individuals who have been approved by the Nominating Committee to have their names on this year's election ballot. You can find them listed on our website here. More details about the candidates will be posted in the coming days, allowing time for all members to evaluate the candidates and determine for whom you wish to vote. Voting will open on Monday, October 29. Members wishing to petition to have their names added to this year's ballot must complete the process by Wednesday, October 24. Please contact ASPA staff for more details. Only active ASPA members as of October 28, 2018, are eligible to vote. If your membership has expired, you will not be provided a ballot. Please contact us as soon as possible for assistance in renewing your membership or rejoining ASPA in time to vote in the elections. John Stout, former dean of Roger Williams University (RWU) and long-time ASPA member, passed away on Thursday, Sept. 20. Stout became dean of what was the Roger Williams College School of Continuing Education in 1991. Through his many years of dedicated service, he helped ensure RWU delivered on the promise it held as an institution and became an important and significant institution in Rhode Island. He retired in December 2012. Born in Berks County, Pennsylvania, on October 3, 1942, he graduated from Dickenson College, earned his master's degree at Northeastern University and his doctorate from Nova University. He had a long, varied career at RWU as professor, department head and dean. He taught as an adjunct professor at Northeastern University for 50 years and for six years at Mount Wachusett Community College. ASPA's Annual Awards Program is your opportunity to nominate yourself or a colleague as one of public administration's most dedicated public servants. Each award and others listed online are prestigious honors bestowed on those exhibiting excellence in public service. And remember: ASPA membership is not necessarily a pre-requisite to be honored with an award. City managers, local government service providers, public health advocates, nonprofit executives, organizations and more are all eligible. Every year more than 30 public servants are recognized by ASPA as exemplifying the best of public administration but you can only be considered for an award if you are nominated. Review our program details and begin work on your nomination/submission today. All awards submissions are due by Nov. 9, 2018. Contact ASPA's manager of internal and strategic development, Garret Bonosky, with any questions or for more information. The 2019 Founders' Fellows program application period will close this Friday, October 12. No extensions will be granted. Make sure you complete your application package by the deadline! The Founders' Fellows program is one of our year's most competitive student programs. Candidates must be ASPA members in good standing and submit a letter of recommendation from an ASPA member in good standing to qualify for the program. If you are not sure if your nominator is an ASPA member, contact us to find out before you finalize your application package. Remember: all applications are due this Friday, October 12, at 11:59 p.m. ET. Did you know, through ASPA's partnership with Routledge, that ASPA members now have discounts on book purchases and free chapters available for download? The current book chapter available is an excerpt from Managing Digital Governance and is available on ASPA's designated page on the Routledge website. This resource explores some of the challenges 21st century public managers face in their efforts to provide online services to the citizens they serve, as well as how public managers can best create public values via strategic digital governance initiatives. Get your free chapter now and, if you like the book, receive 20 percent off the cover price when you order it with ASPA's discount code! Make the most of these opportunities to build your public administration library! Contact us with questions. The American Political Science Association invites applicants for its Pracademic Fellowship Program in Washington, DC. The program places mid-career faculty in federal agencies in the Washington, DC area, where they work directly with decisionmakers. The program is open to faculty members in political science, public management, public policy, public administration and related fields who are interested in engaging with the world of practitioners. All applications require a CV and research statement and are due October 14, 2018. Click here for more information. The Center for Public and Nonprofit Management at the University of Central Florida's (UCF) School of Public Administration will host its 13th annual Public Administration Research Conference. The conference will be held March 1, 2019 at the FAIRWINDS Alumni Center on the UCF campus in Orlando. The theme, "Evidence-Based Policymaking: Using Big Data to Evaluate Public Sector Innovation and Improve Organizational Performance," focuses on important public administration issues. All submissions are due Nov. 20, 2018. Click here for more information. ASPA's Section on Public Law and Administration (SPLA) annually awards one $500 scholarship to help defray the costs associated with attending ASPA's Annual Conference. SPLA now is accepting nominations for this year's award. Qualified applicants must be a graduate or post-graduate student enrolled in a public administration program. Recipients must be present at the SPLA Annual Event to receive the award, participate in the SPLA general meeting and commit to serving as the Student Representative for the Section for one calendar year. The nomination deadline is Nov. 30, 2018. Click here for more information. Vol 78:6 will be released for November/December. Below, find a sneak peak of the Table of Contents for that edition! Plus, check out what’s new on EarlyView! Direct Government Investment: Perverse Privatization or New Tool of Government? Introducing a New Editorial Series in Public Integrity: "The State of the Republic"
In 1968 I graduated from Cal Berkeley with a BA in Political Science. Now, after five years with the federal government and 45 as a public university professor, I look back at the places I've been, the people I've known and the things I've done. Each day, I look forward to doing the job in front of me with skill, passion and professionalism. I remain committed to the values I developed a half century ago—social equity, economic justice and political participation. Equality: Equality of opportunity and access for all (economic, social and political), the influence of the Constitution and its intellectual roots. Voting Rights and Political Participation: Representative vs. direct democracy, vote suppression, disenfranchisement, fraud and gerrymandering. Peaceable Assembly: Ethical concerns related to the people's ability to gather together in physical and virtual public spaces, including balancing 1st and 2nd Amendment rights, police relations and terrorism. Privacy: Constitutional protections and the role of government in protecting citizens in the age of data harvesting. Migration and Immigration: The history of diasporas, cultural identity politics and multiculturalism, demographic trends, migration and immigration policy, human trafficking, political inclusion and economic sustainability. Gender Equality: patriarchy and misogyny, discrimination, rights movements, domestic violence and pay parity. Informed Citizens: The key to democracy, public education, fake news, alternative facts, social media and political propaganda. Corruption: The effects of transparency and accountability in public, corporate and community-based organizations; prevention policies and practices. Public Safety: Violence in society and toleration of it, including public spaces like streets, schools and public gatherings; institutionalized support for hate speech and violence that perpetuates insecurity and discrimination. Environmental Sustainability: Rollback on climate change, air and water quality, environmental racism, assault on public lands and corporate social responsibility. Peace, War and Everything in Between: Slow burn conflicts, open-ended wars, killer drones, mercenaries, child soldiers and UN peacekeeping efforts. The Future: Is the glass half full, half empty or broken? Miguel Cervantes' Don Quixote de la Mancha, the case for optimism vs. pessimism and the role of professional associations that support professional public administration and public service. No matter how much you disagree with someone, be more concerned with learning what they believe and why than with explaining or defending your own viewpoint. No matter how illogical or uninformed they seem to be, do not cut them off, tune them out or attack their ideas by attacking them personally. If you have trouble with these two rules, repeat this mantra silently to yourself as you listen to them: "Is it possible that for any reason, under any circumstances, what they have to say might conceivably be true?" Repeat as necessary. If this mantra gives you trouble, do it while breathing through your nose, not your mouth. As public administrators, public servants and scholars, we share the belief that we can help governments, businesses and NGOs work more effectively together to support economic development political participation, social justice and environmental sustainability. Almost 90 years ago, the Great Depression stoked the fear and anger that led to World War II. But, just as those who don't learn from history are doomed to repeat it, so are those who have learned from history although their leaders have not. The United States faces hard times again today. While unemployment is down and the stock market up, inequality and underemployment hamper economic growth. Our aging population, crumbling infrastructure, underfunded schools, tattered social safety net, expensive wars and spiraling public and private debt make us increasingly vulnerable—maybe not to foreign armies, but certainly to fentanyl and other drugs, and to the foreign trolls and bots that stoke social conflict and use social media to attack our democracy. Our elected leaders face their own hard times. Effective solutions to big issues tend to be unpalatable and politically risky. So, while their best approach is to take the high road and appeal to our intelligence, shared values and a continued belief that the American dream is real, they instead may find it easier to blame others. Seeking scapegoats, they may point to other countries as thwarting U.S. political or economic hegemony, to immigrants for stealing "our" jobs and undermining "our" culture or to other Americans (those "not like us") for supporting beliefs, policies or lifestyles different from their own. "Divide and conquer" trumps "E pluribus Unum." I look forward to joining our colleagues over the next two years as we contribute together to the ongoing conversation among engaged and informed citizens that—together with a contentious yet mutually respectful relationship between public administrators and elected officials—is the cornerstone of democracy. This quarter, we welcome submissions that focus on global public administration. Send your contributions to us at any time; the deadline is rolling. Contact us for more information. 21st Century Higher Education in America: A Reason for Alarm?